At the end of a grueling week, on an absolutely gorgeous spring Friday evening in South Florida, one is not always keen on driving 40 minutes to sit inside for an hour and a quarter listening to a large-scale piece of music. But that’s what I did, and I left Coral Ridge Presbyterian Church in Fort Lauderdale on May 4 renewed and refreshed by Master Chorale of South Florida’s opening night performance of Johannes Brahms’s Ein Deutsches Requiem (A German Requiem, Op. 45). Originally conceived as a six-movement work, the final seven-movement version of the Requiem was premiered in Leipzig, Germany, in February of 1869 with Carl Reinecke conducting the Gewandhaus Orchestra. Brahms drew his text from the German Lutheran Bible rather than the traditional Catholic Requiem text, which is in Latin. 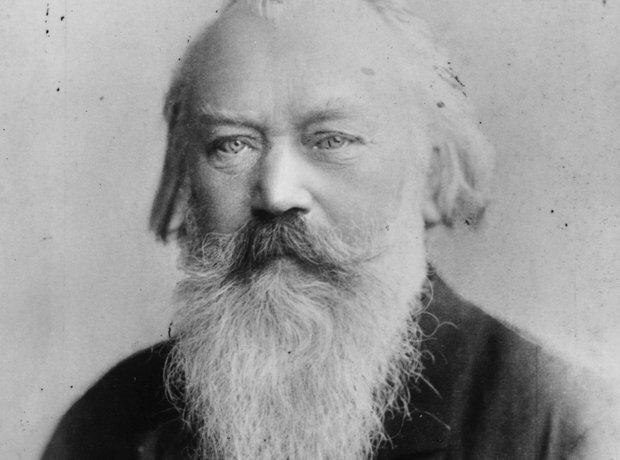 Brahms’s work also represents a departure from the standard Requiem in that it focuses on the living rather than the dead, humanism rather than Christian dogma. With the addition of a movement between the original movements four and five, the structure displays a sort of arch form with the first and last movements beginning with “Selig sind” (“Blessed are”) taken from the Beatitudes of the Sermon on the Mount and the Book of Revelation; the second and sixth movements are both dramatic and deal with life’s transient nature; movements three and five both begin with a solo voice. Artistic director and conductor Brett Karlin’s opening remarks concerning the piece were enlightening if a bit lengthy; his love for and understanding of the music and text were borne out by the performance. Karlin led the group of some 120 singers plus soloists and orchestra with grace and ease. One could argue that Karlin’s tempo in movement four, “Wie lieblich sind deine Wohnungen” (the familiar “How lovely are your dwellings”) was too brisk, denying the movement the yearning quality that the text calls for; otherwise, Karlin paced the large-scaled work beautifully. Accompanied by students of Lynn Conservatory’s Philharmonia, the Chorale’s singing was glorious, at times thrilling. For the most part, chorus and soloists delivered the German text with accuracy and clarity, especially considering the size of the group. The brilliant sonority of the soprano and alto sections was so moving as to draw attention and make one overlook the fact that the tenor and bass sections could have used more voices or a bit more heft. Opening-night jitters (there were subsequent performances in Coral Gables and Boca Raton) or perhaps scant rehearsal time contributed to a few problems in the Philharmonia’s winds; the horns in particular were not as lovely in the low register as they might have been, but overall the orchestra played cleanly and with confidence. The soloists, delivering the opening of one movement each, proved as impressive as their résumés reflected. The prayerful baritone solo with text from Psalm 39 which begins the third movement, “Herr, lehre doch mich” (“Lord, teach me”) was sung solidly and confidently by bass-baritone Douglas Williams. Soprano Robyn Marie Lamp stepped forward from within the chorus to render a warm, rich, bel canto opening solo in movement five, “Ihr habt nun Traurigkeit” (“You now have sorrow”). a musical celebration honoring the 100th birthday of Leonard Bernstein, Oct. 26-28. Berlioz’s Te Deum is planned for Feb. 23-24, and Haydn’s Creation on May 3-5. For more information, go to www.masterchoraleofsouthflorida.org.